RLB is acutely aware of the inherent environmental risks involved with site work and the potential for negative impacts on the community. Environmental stewardship has always been a top priority for RLB. Key employees are trained and certified per the Virginia Department of Conservation and Recreation. 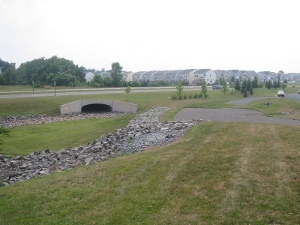 RLB partners with owners and municipalities to ensure that erosion and sediment control standards are exceeded while keeping projects on budget. •Experienced installer of detention facilities such as Storm Tech, Stormceptor, Filterras, bio rentention ponds, rain gardens, etc. 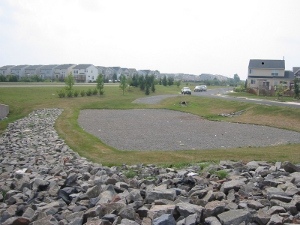 •Extensive experience working on challenging sites adjacent to wetlands, rivers, estuaries, etc. •Actively pursuing the "no waste" construction site through the use of recycled concrete and asphalt, mulching of clearing debris, rock crushing to produce road bed aggregates, etc.